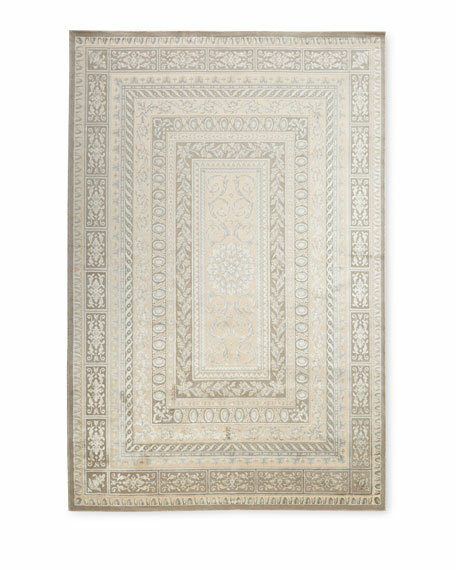 Noelle Rug, 7'6" x 9'6"
Classic Persian design reinvented for today's decor. 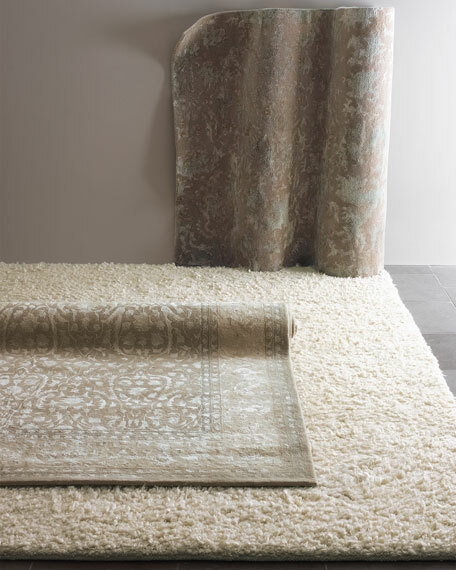 Handmade of wool and viscose. 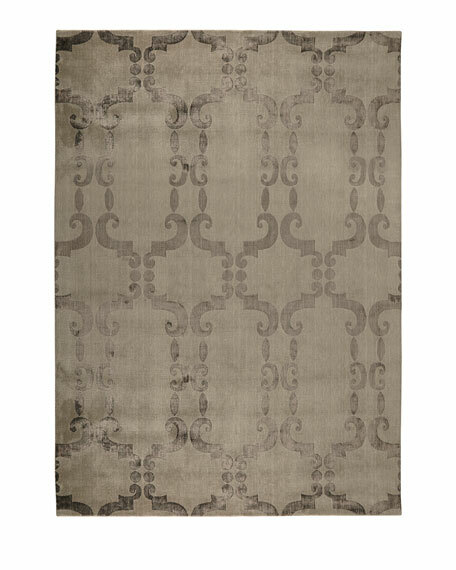 Noelle Rug, 3'6" x 5'6"
Noelle Rug, 5'6" x 7'5"
Rug features a traditional Persian rug design rendered in contemporary colors.Loom knotted of viscose and wool.Size is approximate.Imported. 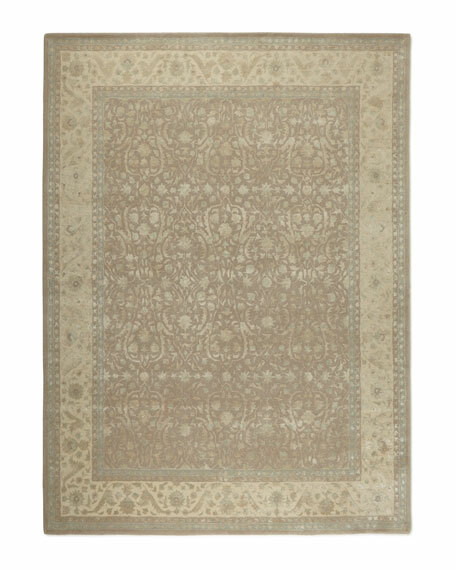 Handmade rug.Hand knotted of New Zealand wool and viscose.Cotton foundation.Hand trimmed; durable and intended for foot traffic.Size is approximate.Imported. 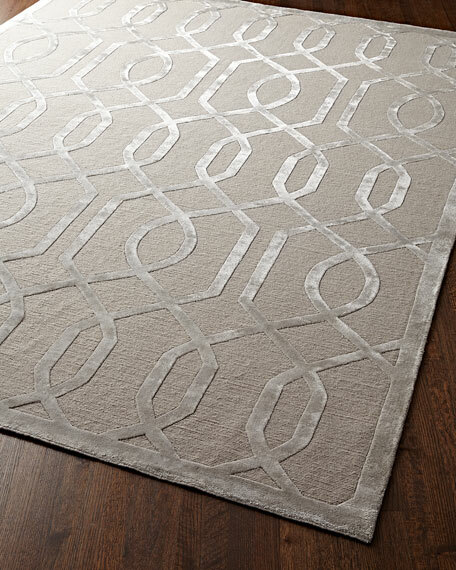 Rug features a finely knotted lattice design with a linen-look back.Hand knotted of wool and viscose on a cotton foundation.Size is approximate.Imported.